Did you know that if you buy seafood through the traditional method that the seller is obligated, by law, to sell you the oldest fish first? This is the common food safety law know as FIFO, or "First in, First out." Meaning that even if you go to the fanciest of seafood markets, you won't get their freshest seafood. At FreshCatch, we never stock an inventory of fresh fish, which means all of our fish are caught on the same day or the day before delivery - no more than 48 hours from the dock to your door! Weekly Seafood updates - $5 off for signing up! Sign up with your email address to stay updated on what we are offering each week and we will give you $5 to use towards your first order! Thank you! Use code FISH5 to receive $5 off your first order with us! We are excited to have you join us in our celebration of fresh, local, seasonal seafood! At FreshCatch nothing excites us more than sharing our LOVE for seafood and our PASSION for cooking with our amazing members! We host Pop-Ups at least 1-2 times a month, and we are always open to catering your special event! Join Us at a Pop Up! Become inspired by the sea as we reconnect you to the source of its bounty. Each week, once a week, we unload our catch from that day and have it filleted and packaged for delivery directly to our members (You!) or to a pick up location centrally located within our member’s neighborhood. Seafood with a story enlightens, enriches, and is verifiably fresh. Check out the market and give us a try. Join us in our commitment for sustainability! We started FreshCatch because of the lack of clarity surrounding fishing practices and origins in the seafood industry, and we are very proud of our fully transparent supply chain. We only work with extremely sustainable fishing vessels that leave the ocean a cleaner and healthier place before returning to the docks for us to pick up their catch. Through your support of FreshCatch you are supporting both a healthier ocean, and small boat sustainable fishing vessels, reducing our dependence on profit hungry large scale fishing fleets that catch the majority of seafood sold in grocery stores. Forget the convoluted seafood supply chain that often sees over 20 people handling your dinner before it ends up on your plate. At FreshCatch our small, but highly skilled seafood sourcing team finds sustainable fishing vessels whose stories are often overlooked. Once we connect with our fishermen we set up a schedule to meet with them once or twice a week to purchase their catch and deliver it directly to you. Usually no more than 3 people handle your fish in the 24 hours after it has been taken off of the boat, and we take a lot of pride in that! The U.S imports over 90% of our seafood from other countries - over 50% is farmed. Slave labor, unregulated fisheries, disease, and the use of dangerous chemicals are just a few of the reasons why the fact above should inspire change. The waters of imported fish are murky to say the least. 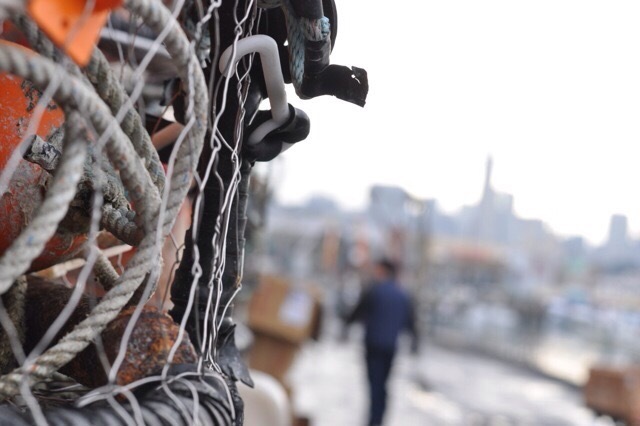 At FreshCatch we have personal relationships with all of our fishermen and ensure that all of our fishing vessels are US licensed and the species that is being caught is under a strict NOAA management plan that ensures sustainability. Wondering where we deliver? Check out this map!